I watched both the Republican and Democratic conventions carefully, and now that they are over, I remain struck by the vastly different styles of leadership that each candidate has practiced throughout their long careers, and now offers America. Donald Trump is the unabashed and proud patriarch, and Hillary Clinton has shown herself to be cast from the mold of ancient matriarchs. As modern Jews, we are familiar with both styles of leadership. The Torah stars biblical patriarchs who wisely (and sometimes not so wisely) rule their clans, often accompanied by supporting actors — wives who acknowledge the primacy of men, yet assert power in a variety of ways. Their focus is often, but not always, on home and children. Pre-Judaic art as well as worldwide anthropological investigation add another dimension to female power: In matriarchal societies — some of which worshipped goddesses — women played a dominant role both inside and outside the home and, wisely and not, wielded most of the power. I by no means want to imply that Trump has the qualities of Abraham, Isaac or Jacob, or should be compared to them, but he does fit perfectly into a rather extreme archetype of the political patriarch, what I think of as “father knows best” kind of leadership. This is exemplified by his statement, “Nobody knows the system better than me, which is why I alone can fix it,” included in his widely watched speech in which he accepted the nomination. Trump has declared numerous times that he does not need to listen or learn in order to make decisions, and that a dealmaker should not share details about his thoughts or thought processes. His mantra is “Trust me.” As head of his family and companies, he takes care of his family and loyal friends, who do trust him. He offers to perform the same role as president, and quite a few of us long for this: We want to be taken care of by an all-knowing patriarch, even if we don’t use that term. This father figure particularly speaks to some traditional religious believers, largely men but also women. Clinton, who obliquely referenced matriarchal descent in her nomination acceptance speech with the clause, “Standing here as my mother’s daughter and my daughter’s mother,” is quite the opposite. She has little in common with biblical wives such as Sarah, Rebecca and Leah but she got into law (like the judge Deborah who appears later in the Torah and is a truly powerful female character), activism and then politics in order to improve the lives of children, and her concern for them is central to her accomplishments in the early part of her career. In her speech, Clinton spoke of how her mother was neglected as a child and how this propelled her to empathy — and determined action on the national stage. She also emphasized that she listens and is willing to, and wants to, incorporate others’ thoughts and ideas into her policies, much as she did by including a range of Bernie Sanders’ positions in the Democratic Convention platform. Clinton is a tough leader but also a consensus maker, a quality that is not unique to women, and is practiced more and more by men of our era. Study after study, however, has shown that female leaders are more likely than men to find consensus, particularly when there are other women leaders in the room. This is not to say that Clinton, who has successfully navigated the highest stratospheres of the international boys’ club for decades, doesn’t have a range of leadership qualities from across the patriarch-matriarch spectrum to draw on. She does. She would not have been able to get this far without them. Trump, on the other hand, appears to have no such flexibility — or interest in developing it — based on his statements. In a nation, and at a time, where many of us still hold onto traditional notions that men should lead and women follow and are steeped in religions that support this, matriarchal power of all kinds provokes fear. Progressives are equally uneasy with the patriarchal approach. 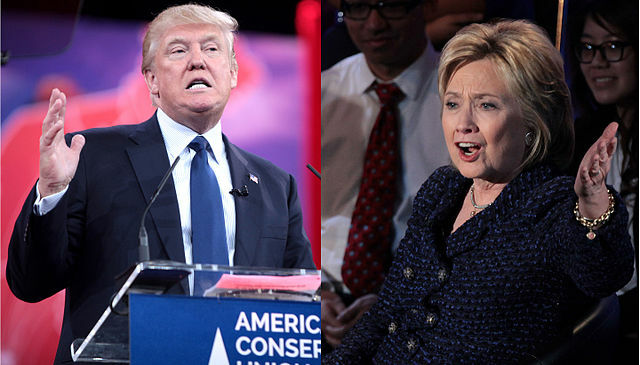 Often, we are not even conscious of why we react to the candidates the way we do. Of course, this dichotomy is an over simplification, but a useful one, just one of the many tools that may help us better understand our individual primal responses to the presidential nominees of our major political parties. It was a nice analogy o compare our candidates to Biblical leaders. I can see Clinton in Deborah, the Judge and leader who had strength and ability. But I have great difficulty itch any comparison of Trump amongst our noble biblical leaders. Trump started out rich and got richer, but not once did I hear him take concern for his workers. He didn’t pay them any better than any one else, he didn’t give charity in substantial amounts and he has never said a kind word when speaking to others or about others. If we respect the Jewish values we have learned from Torah, how can we ever respect a man like Trump!